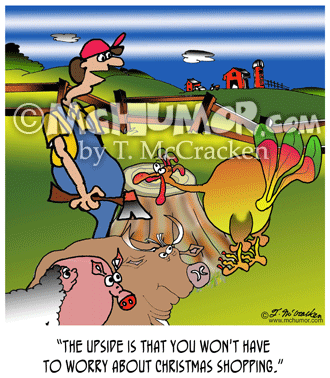 Turkey Cartoon 8312: A farmer about to chop off a turkey's head off says, "The upside is that you won't have to worry about Christmas shopping." 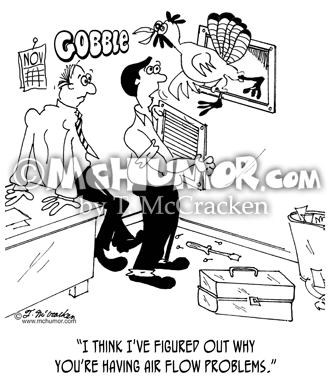 Turkey Cartoon 7993: As a turkey leaps out from a heating duct a repair person says, "I think I've figured out why you’re having air flow problems." 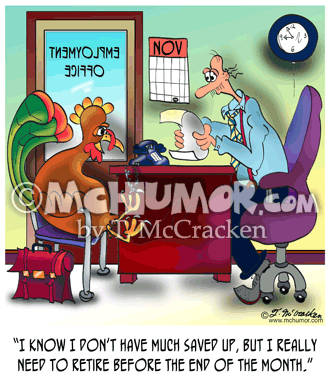 Thanksgiving Cartoon 9158: "Some at the Thanksgiving table were unusually thankful this year." 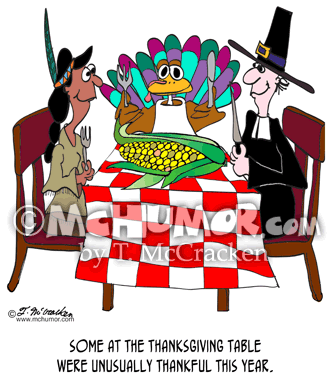 A turkey with a knife and fork sits with a Native American and a Pilgrim who are about to carve up a huge ear of corn. 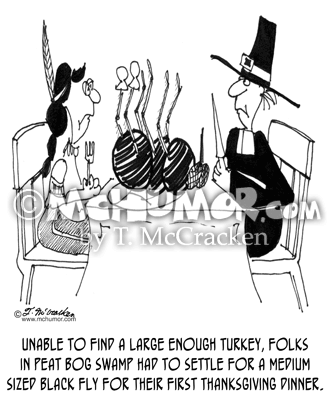 Thanksgiving Cartoon 4538: “Unable to find a large enough turkey, the folks in Peat Bog Swamp had to settle for a medium size black fly for their first Thanksgiving dinner.” An Indian and Pilgrim sit at a dinner table with a humongous fly on a platter. 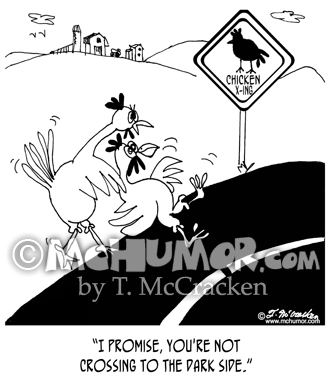 Chicken Cartoon 8618: A chicken pushing another into a road says, "I promise, you're not crossing to the Dark Side"
Chicken Cartoon 2552: A chicken crossing a road. "A Migrating Chicken." 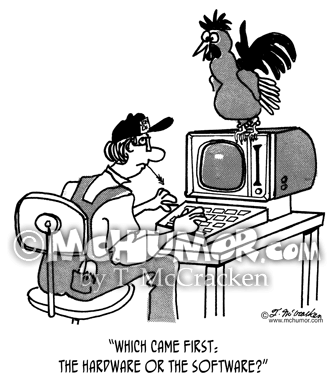 Chicken Cartoon 2372: A rooster on top of a farmer's computer asks, "Which came first: the hardware or the software?" 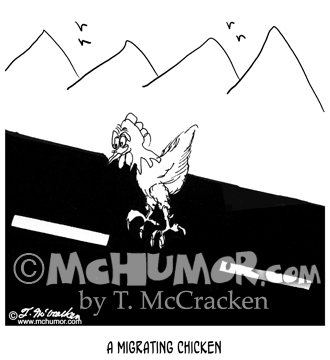 Chicken Cartoon 7386: "A classic example of Poultry in Motion." 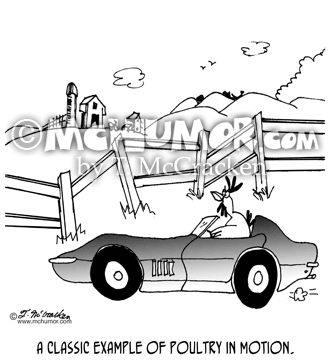 A chicken drives a roadster.